Women during their pregnancy do experience high blood sugar levels however in around 4 percent of the cases the sugar levels are on the higher side giving rise to a condition called gestational diabetes. 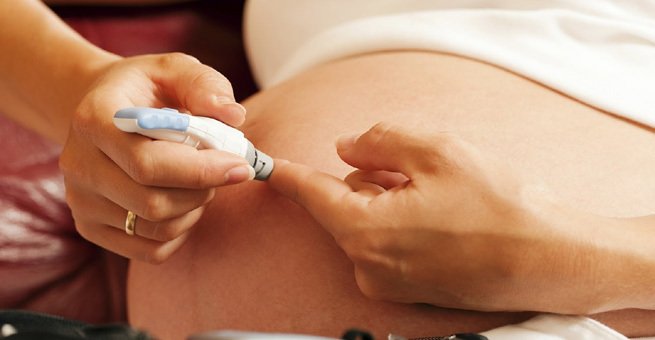 Gestational diabetes is a condition that occurs in pregnant women. If you are one of the people who are suffering from gestational diabetes, then do not worry you do have a chance of controlling the condition without medication. With consistent effort, care and planning you can control the situation. Following are the list of things you can do to control the gestational diabetes without depending on any medications. 1. Consult your doctor: Once you come to know you are suffering from gestational diabetes then the first thing that you need to do is consult your doctor and discuss the options that you have to control it. The doctor will give you an explanation about the condition as well as the options in hand to deal with it without any medications. 2. Consult a nutritionist: The doctor you have consulted will first and foremost tell you about controlling your diet and for that you need a professional help. Gestational diabetes can be controlled with proper diet.Initially the whole situation might seem a little too difficult to manage because you have to plan out your diet that will nourish your baby and at the same time will not increase the blood sugar level. The nutritionist will plan you the meals required to combat gestational diabetes and give you the required nourishment. You might have to control your carbohydrate intake, keep a watch on less fat intake and concentrate on the adequate protein intake. The nutritionist will plan your meal for you therefore your worries will be taken complete care of. 3. Take full advantage of the Internet: Internet is a wide source of information of any kind. You can get a complete guide on the meal plan, diets etc. You can also join the forums, groups on social media sites and get to know people experiencing the same condition and you can exchange ideas too. This is a good way of relaxation too as you will be able to take the load of the stress off your mind. 4. Take time with your partner: Gestational diabetes can be a stressful condition if you lack support. Emotional support is very important to cope up with the situation and hence your partner’s complete support is very important. The care and trust of your partner can help in a great way to combat gestational diabetes. 5. Exercise: Regular exercise also can help to control the gestational diabetes. Talk to your doctor about stabilizing the blood sugar with some exercises. Walking is a great way of exercise. Other than that swimming, jogging, mild yoga can all be helpful. Consult your doctor and choose the best option. 6. Monitor your blood sugar level: Take regular tests to keep a watch on your blood sugar level. Women with gestational diabetes will need to take the test of their blood sugar after waking up and then again 1-2 hours after each meal, and note down if the level is same as the doctor asked you to maintain. There are special self-blood sugars testing device available that can be used to check the blood sugar level. 7. Choose your diet wisely: Carbohydrate consumption should be reduced by 50 percent from your daily diet. You should include more vegetables in your diet instead. Eat more cereals, grains as well as starchy vegetables. Eat around 6 meals containing these food items daily to decrease the blood sugar level. Dairy products are very important for pregnant women so make sure to include non-fat milk, cheese, yogurt etc. in your diet. Include protein in your diet too, for instance- fish, eggs, meat etc. Avoid food containing added sugar and sweets.